Human spirit is the ability to face the uncertainty of the future with curiosity and optimism. It is the belief that problems can be solved, differences resolved. It is a type of confidence. And it is fragile. Proposals up to 250 words and a brief biographical note should be sent by 10 December, 2018 to: genderstudies@lcir.co.uk. Download Paper proposal form. This international conference, which is devoted to the phraseology and stylistics of literary language, will be organised as part of the Franco-German research project PhraseoRom (https://phraseorom.univ-grenoble-alpes.fr) funded jointly by the ANR and the DFG. It seeks to provide a platform for discussing innovative approaches to the phraseology of literary language. The main focus of the conference is on the linguistic and discursive analysis of statistically significant multi-word expressions in literary texts, statistical genre analysis and literary stylistics. The main focus of the conference is on the linguistic and discursive analysis of statistically significant multi-word expressions in literary texts, statistical genre analysis and literary stylistics. Submissions should primarily but not exclusively deal with novels in German, English and French published since 1950. However, papers focusing on literary works from other periods will also be welcome. Submissions which cut across thematic areas or provide a connection between them are also welcome. Section 2 : linguistic and stylistic analyses of literary genres (corpus stylistics) The conference languages are German, English and French. A selection of articles will be published in a volume of conference proceedings. An academic committee will be responsible for the selection process. Please submit an abstract of one page max. (including bibliographic references) in German, English or French to the following address (DOC and PDF) by September 30th 2018: conference-phraseorom@fau.de. The conference will take place from 13-15 March 2019. As scholars in the humanities, we also play a role in addressing the maladies of the inner person. Through aesthetic experience, through the practice of narrative, poetic expression and artistic performance, we work toward the disclosure and examination of humane ideas. For example, Susana Onega and Jean-Michel Ganteau’s edited collection of essays, The Wounded Hero in Contemporary Fiction: A Paradoxical Quest (2018), addresses wounded characters in contemporary literary works and their ways of coping with their health problems. Also, studies in popular culture such as Medicine’s Moving Picture: Medicine, Health, and Bodies in American Film and Television (2007) and Medical Visions: Producing the Patient through Film, Television, and Imagining Technologies (2013) offer rich representations of health, medicine, and the human body in American film and TV. Studies of the media, advertising and work within the social sciences can fortify and deepen our examination of these discourses on health. Such viewpoints may open a new horizon for the investigation of the ways health and healing are conceived in contemporary ylife. Our upcoming conference offers a forum for the consideration of healing practices from various cultural traditions as they are depicted in literary and cultural products, and on the broader discourses governing health and healing. We hope that intercultural, comparative and trans-disciplinary approaches will open important new aspects to our inquiry. 200-word abstracts for 20-minute individual papers are welcome, together with a short biographical note (written in the third person) including institutional affiliation, address, e-mail and telephone numbers. Please send abstracts and the required information, by November 1, 2018, to both Dr. Jeffrey W. Howlett, jwhowlett@baskent.edu.tr and Dr. Gözde Kılıç, gozdekilic@baskent.edu.tr, Department of American Culture and Literature, Faculty of Science and Letters, Başkent University, Ankara, Turkey. We invite proposals for 20-minute papers in English or French focusing on any language area, but quotations and titles should be translated into English or French. Comparative approaches are welcome. We hereby invite all those who are interested in participating to send an abstract of their paper proposal (maximum 300 words) and a short bio-note, before the 15th of October 2018 (new extended deadline), to the email address xxiisimposio.selgyc@gmail.com. The Symposium’s scientific committee will carry out the revision and selection of the proposals received, and the results will be notified to the authors before the 15th of October 2018. During the selection process of the articles, factors such as originality, composition, method and adjustment to the topics proposed for the XXII Symposium will be taken into account. Transcomparatism: Gender and Genres: Feminism and sexuality in comparative literature. Beyond Literature: Other formats for comparatism (art, internet, popular culture, etc.). Chinese Literature: Chinese Literature, Arts and Culture in the World. Additional information regarding the Symposium and supplying further details relative to transport and accommodation will be published shortly (http://www.selgyc.com/index.php/es/simposios-selgyc/xxii-simposio-de-la-selgyc-2019). For more information please contact us at: xxiisimposio.selgyc@gmail.com. The 8th edition of the New Perspectives in Science Education Conference will take place in Florence, Italy, on 21 – 22 March 2019. The Call for Papers, within the New Perspective in Science Education Conference, is addressed to teachers, researchers and experts in the field of science education as well as to coordinators of science and training projects. Experts in the field of science teaching and learning are therefore invited to submit an abstract of a paper to be presented during the conference. Papers will also be included in Academia.Edu (https://www.academia.edu/) and Google Scholar. Specialised varieties of English have already been approached by researchers from a number of angles, but it seems that ethical considerations, and their place, functions and forms in the discourse of specialised communities have been under-investigated. Yet, a great many members of disciplinary or professional milieus ask themselves ethical questions about the organisation they work for, their responsibilities, their positioning or their relationships with society at large: whatever they do, they must be able to account for their decisions (Rawls 1987). Examples of such preoccupations are quite common today in such fields as legal ethics and the codes of conduct of the legal professions, ethical finance, business ethics, management ethics with the emergence of Chief Ethics Officers in the corporate world, in addition to journalistic, political and environmental ethics — not to mention medical ethics, bioethics, and ethics in science and the new technologies; as a result, ethics and deontology are often associated. It is true that the current use of the word ‘ethics’ tends to stray from its original meaning, which may be regretted: it increasingly refers to professional or applied ethics (Badiou 1993). Nowadays the distinction between Aristotle’s ethics, with its teleological dimension (telos), and Kant’s moral theory, with its focus on duty(deon), has been blurred; still, some people do feel the need to distinguish between ethics — pertaining to individual rules that have been self-imposed after much questioning and meditating on what “aGood Life” really means — and morals, which are imposed from the outside and can be defined as the obligation to respect norms, heed constraints and play by the rules (Ricœur 1999). The mere idea that ‘morals’ might have a negative connotation linked with the notions of ‘requirement’ and ‘duty’ no doubt accounts for today’s preference for the term ‘ethics’: hence the confusion between individual,disciplinary, and professional ethics. Specialised discourse can yield a wealth of information for researchers since its analysis requires taking into consideration the communities that produce it, their own specific constraints and communicative purpose, in addition to the cultural, social, historical contexts in which discourse is produced. This conference will be an opportunity for researchers interested in discourse analysis to draw on specialised corpora in order to identify the linguistic or syntactic forms underpinning ethical considerations, or the preferred rhetorical tools used for conveying the appropriate message and reaching the desired goals. Linguists will be able to seek specific markers likely to determine whether the current interest for what is ‘ethically correct’ runs parallel with ‘politically correct’ concerns or even ‘greenwashing’ practices. Some claims about ethics may well be superficial. If so, what linguistic devices are used to support suchdeceptive attitudes, and how can they be detected in the discourse of specialised milieus? Special attention can also be paid to genre analysis: codes of conduct, charters and other documents meant to assert values, or define norms and rules will surely be of interest, and their specificity can be highlighted. For those interested in metaphors, the question of the potential impact of these tropes can be raised, in so far as the worldview they convey can influence the reader or targeted public. The choice of a metaphor is never innocent, in that it can guide people’s reactions and attitudes. As Christian Walter (2012) — when commenting on mathematical models in finance — insists, any metaphorical choice is potentially an ethical one. Researchers interested in the didactics of specialised varieties of English (SVEs)—and in sensitising would-be teachers and researchers to the specific culture of the relevant domains — are invited to choose among a number of questions pertaining to their strand of research with respect to the theme of the conference (RPPLSP/Cahiers de l’APLIUT 2013). For example, they may wonder about the legitimacy and efficiency of their teaching methodology, or explore the relationships between ethics, epistemology and pragmatics, from the perspective of either action or reflection (Le Moigne 2005). The theme can also be approached from the perspective of the ethical competency with which teachers should endow their students in the various branches of activities for which the latter have chosen to prepare. Another question worth investigating is the ethical problem raised when conducting action-research projects in terms of the researcher’s positioning: failure to take the right distance from one’s resultsmight invalidate one’s research, not to mention situations when the research includes other researchers’ data (Macaire 2007). Whatever the domain or the approach, researchers in specialised varieties of English will find food for thought in the unifying theme of this conference, reflecting on the place, functions and forms of ethical considerations in specialised discourse, cultures, and communities. It is to be hoped that the various suggestions mentioned here, to which many more may be added, will attract the interest of many researchers, inspire a rich array of approaches, and feed enriching debates. Paper proposals should be sent via the EasyChair website (another email will be sent when the link is available) before November 15 2018 and should include a title, a 300-word abstract and the names, affiliation and contact details of the speaker(s). The 1st NEWstories Conference, which will be held on 23 March 2019 at the Institute of English Studies of the Jagiellonian University in Kraków (Poland), aims to bring together both undergraduate and postgraduate literary scholars to share their experience and research results on all aspects of crisis in 20th- and 21st-century prose. It also provides an interdisciplinary platform for those interested in politics, ecology and psychology. Participants are invited to present and discuss significant innovations, trends as well as challenges related to the issue of crisis. The notion of crisis is at the core of any appraisal of the 20th and 21st centuries. The revolutionaries in Victor Hugo’s Les Misérables proclaimed that “[…] the nineteenth century is great, but the twentieth century will be happy.” However, it was crisis, not joy, that shaped the 20th century, as it was marred by two World Wars, the Great Depression, genocide, the nuclear arms race, the AIDS epidemic and numerous other crises. The 21st century witnessed one of its defining crises in its first year when terrorists attacked World Trade Center, sparking off the war on terror and an economic crisis. Our conference sets out to examine the ways in which these crises are depicted in 20th- and 21st- century prose, as well as how literature itself changed throughout these tumultuous centuries, reflecting external crises. Moreover, the scope of interest of our conference includes ontological and epistemological crises, challenging preconceived notions connected with human existence and literature. NEWstories annual conferences will be devoted to various aspects of 20th- and 21st- century literature. Postmodernism is more and more often claimed to be over, so it turns out that we are approaching a new literary epoch – as Pieter Vermeulen contends in Contemporary Literature and the End of the Novel: Creature, Affect, Form, “contemporary fiction’s dramatization of the end of the novel conveys a sense that neither these modern forms of life nor the novel’s cultural power are quite what they used to be.” Yet we still struggle to find a convincing name for the time we happen to live in. From post- postmodernism, through metamodernism, to dismodernism, all the already suggested options refer to the present, but also seem to have their roots in the previous century. How can we know, then, what literature is today? And how do we interpret history and our inspirations? Aware of the questions that arise at the beginning of the new millennium, we invite literary scholars specializing in 20th- and 21st- century prose in all languages, hoping that the conferences will become a convenient forum to discuss current issues and doubts. We invite proposals for 20-minute presentations in English by PhD, MA and BA students on 20th- and 21st- century prose texts dealing with the theme of crisis or exemplifying it, written in any language. Abstracts of about 150 words should be submitted to crisisconference2019@gmail.com by 31 December 2018. Notifications of acceptance will be sent by 15 January 2019. We are planning to publish selected papers presented at the conference. On 23 June 2016 51.9% of the British population voted the withdrawal of the UK from the European Union. The referendum came as a shock not only to the Continent but to the whole world, and has divided the country and the nation. The Brexiteers argue in favour of autonomous economy, independent politics and sovereign society, forecasting ‘a very, very bright future’ for the reinvented country. 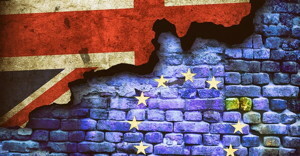 However, Remainers advance the gloomy prospect of economic uncertainty, political instability and social unrest triggered by any of the strategies for dealing with the decision to leave the European Union. Either ‘soft Brexit’, ‘hard Brexit’ or ‘no Brexit’, the impact is still difficult to predict. The conference is aimed to explore the national and regional effects and consequences of the UK’s disengagement from Europe and the European structures. It will also focus on the causes and conditions that led to Euroscepticism and the anti-European majority vote. The main objective of the event is to bring together all those interested in examining the intersections between their professions and/or interests and some distinct aspects of Brexit, providing an integrated approach for the understanding of the process within the current European context.